When Muhammadu Buhari won the 2015 presidential elections, the country was deeply divided between the All Progressives Congress (APC) and the People’s Democratic Party (PDP). As I remarked then, the results of the elections showed that Buhari was not the will of all Nigerians. Give or take a couple of million votes and PDP could have won. In his admirable inaugural speech, Buhari seemed to be aware of this division, making his now famous assertion: “I belong to everybody and I belong to nobody”. He also reached out to the country’s south-south promising to “invest heavily” in amnesty projects and extending his “hand of fellowship” to them. But like mobile data on an open hotspot, this availability did not last long. In July 2015, when he was questioned on the Niger Delta amnesty and inclusive development, he answered: “I hope you have a copy of the election results. The constituents, for example, who gave me 97% cannot in all honesty be treated on some issues with constituencies that gave me 5%.”Across Nigeria, politically innocent hearts were broken. But this was just the beginning of walking back promises and shifting goal posts. The APC media machinery, which had hitherto blitzed Nigerians with promises of paradise commenced a process of hurried denials. One of the first casualties of these repudiation of campaign promises was the infamous “100 Days Covenant”. Once there was nothing to measure, Buhari was able to complete his first hundred days with no targets, no goals, and no problems. For those who had problems with “the new sheriff in town”, Buhari’s media team had a new label: “wailing wailers”. By September 2015, Femi Adesina was all over the news denouncing all critics of the government. In December 2015, Ibn Na’Allah of the APC would sponsor a bill to legislate a jail term for any person who used social media (including Whatsapp and texts) to make “an abusive statement” against government officials. Fortunately, pressure from civil society killed that attempt. Yet, these were early warning signs of coming intolerance towards Buhari’s critics. Less critical Nigerians simply entered a phase of Buhari praise and worship. Politicians and other groups beat a path to Aso Rock to pledge loyalty and assure Buhari of their support in his new fight against corruption. The Nigerian Labour Congress, under Ayuba Waba, strayed from pressure group into partisan fan club and went to pay homage to Buhari, even demanding a death sentence for those convicted for corruption. In this way, Nigerians gave Buhari a latitude arguably few past leaders have received. When Buhari failed to appoint a cabinet for months, Nigerians defended him. When he appointed alleged corrupt people into his cabinet, Nigerians excused this. 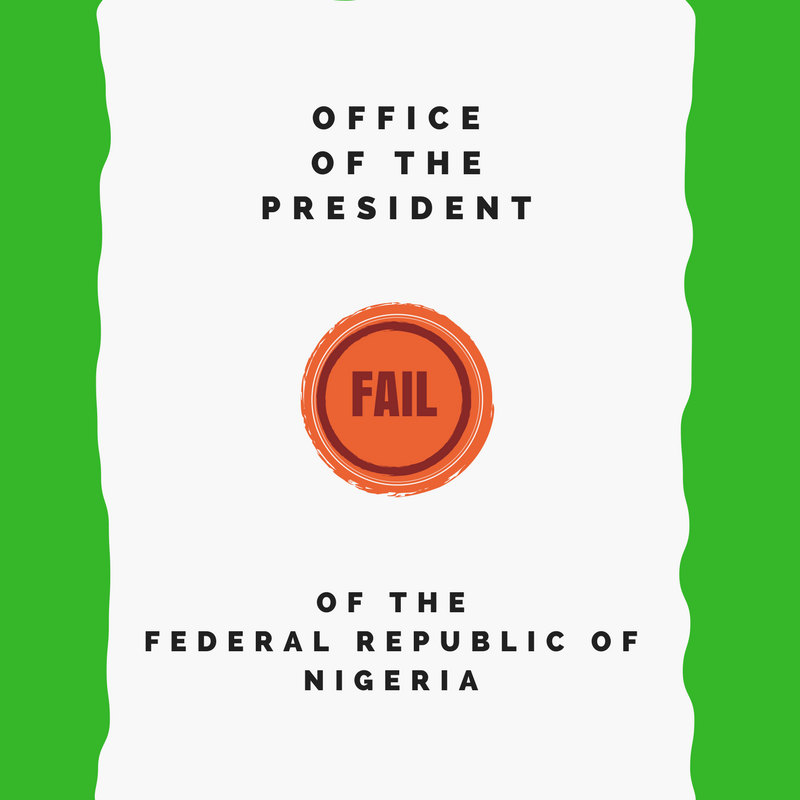 When he failed to come up with an economic blueprint for months and then drove the economy into a recession through arbitrary fiscal and monetary policies, Nigerians justified it as a consequence of anti-corruption. “Corruption is fighting back”. When Buhari disappeared for months on medical tourism without any communication, Nigerians supported this. And when the unjustifiable surfaced, like the 2016 budget (so-called Budget of Hope) which was peppered with waste and inconsistencies, everyone was blamed except Buhari. Nigerians slid into a habit of blaming “16 years of PDP” and Jonathan’s government, blaming Buhari’s ministers, blaming his media team, his advisers, anyone but Buhari. Buhari himself did not volunteer to take responsibility for anything. It was as if Nigeria removed PDP just so that it could excuse APC from working. Brave social critics under Jonathan would timidly criticise Buhari by first affirming their support for his regime and denying any connection with PDP. If Buhari ever believed himself to be a tin god, Nigerians affirmed this between 2016 and 2017. And what of the grand fight against corruption? As early as 2016 it was clear, to those who wanted to see, that the government was keener on blackmailing critical or dangerous opposition than on investigating, prosecuting, and trying corrupt public officials across board. The rule of law was not observed. The capacity of federal policing, investigating and prosecuting systems was not improved. The judiciary was not strengthened. Buhari never took unprompted action against corrupt party and cabinet officials. In fact, the Buhari administration embraced former PDP stalwarts, forgiving their sins once they became APC team players. The fight against corruption was dead on arrival. What of the fight against insecurity? 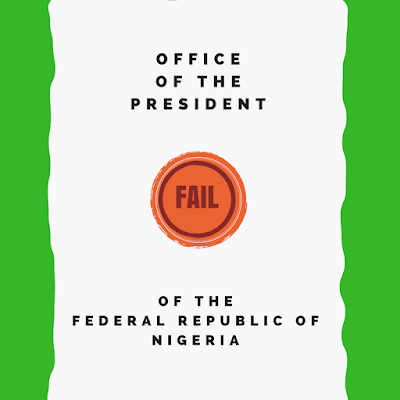 For those who could see, it was clear that the president was keener on maintaining state security in the Niger Delta where oil assets were located, than on safeguarding human security across the country. The government went after the Independent People of Biafra (IPOB), the Niger Delta Avengers, and other similar groups with a passion matched only by the administration’s lukewarm attitude to other security challenges. Boko Haram continues to attack targets at will while the presidency censors information and ambiguously insists that the group has been “technically defeated” yet, as late as 2018, still requests funds to combat the terrorists. Similarly, an escalating decades-long conflict between pastoral herders and farmers over grazing routes is still troubling towns and villages in the country’s middle-belt. A recent attack by herders in November 2018 left up to 1,801 persons killed and 50,212 others displaced in Plateau state. What of the grand plans for the economy? In May 2016, Buhari’s government raised the pump price of fuel to 145 naira per litre, outdoing the 141 naira suggested by the Jonathan era that sparked the Occupy Nigeria protests. This time, there was just a whimper of protest from a cowed civil society. The NLC tried to switch into role as a pressure group but it was too late: its call for a general strike went flat. By the end of 2016, Nigeria’s economy had gone into a recession and the country is still suffering from the effects of this. Today, the unemployment rate is at 23.1 per cent, increasing from 18.8 per cent in the third quarter of 2017. In 2018, the World Poverty Clock reported that 86.9 million Nigerians lived in extreme poverty, almost 50 per cent of a population of 180 million. To keep the people docile, Vice President Osinbajo started public relations rounds in 2016, selling dreams of the Promised Land. On one occasion in October 2016, the vice president preached: “We are on our way out of the wilderness. We should not be like the children of Israel when he took them out of Egypt and after a few problems, became grumblers-in-chief”, likening critical Nigerians to rebellious biblical Israelites. If the people do not constantly criticise the government, the government will start criticising the people. Buhari was good at arraying criticism against Nigerians while refusing to take criticism. He deplored the Nigerian people several times, calling us lazy, fraudulent and entitled, failing to see his own outbursts in front of a foreign press as a reckless lack of self-discipline by a supposed representative of a country. When he got a chance to represent Africa and confront Donald Trump on his “shithole countries” remark, Buhari dodged the issue. 2017 defined Buhari’s disdain for human life. His administration was racking up an increasing mountain of dead bodies. A massacre of members of the Shiite sect in 2015 by the army killed 300 people including children. A 2017 bombing by the air force of an IDP camp in Rann had left 167 people dead; a similar bombing in Numan killed 86 people. Till date, there has been no accountability for these crimes. Meanwhile, the number of dead continued to rise: in Agatu, in Southern Kaduna, in Udeni Ruwa of Nassarawa state, in Demsare, Dikajam and Taboungo areas of Adamawa state, in Buruku of Benue state, in Dori and Mesuma of Taraba state. Nigeria’s towns and villages flowed with the blood of innocents. But Buhari’s administration glibly responded that the body count was not yet as high as those under the PDP. By the end of 2017, it had become clear to admirers who had a conscience that the Buhari administration was unsustainable for the wellbeing of ordinary Nigerians. On social media, previous voters and supporters began a trend of repudiating their decision to align with the APC government. Within the political elite too, there was a perceptible shift in the power blocs. Obasanjo penned a criticism against Buhari in January 2018, officially launching the election season and a rash of elite-sanctioned defections from the APC. But rather than listen to criticism from both ordinary Nigerians and the political elite, Buhari’s government only consolidated its grip on power, favouring nepotism in the staffing of executive positions and attempting to overwhelm the judiciary, the legislature, and critical press and civil society through police intimidation and media trials. But one day is for the owner. On Saturday, February 16, Nigerians will go to the polls to essentially cast a referendum on this government. In December 2014, at the height of the campaigns, I asked my readers whether the removal of Jonathan’s inefficiencies was worth the risk of a Buhari autocracy. At the time the answer was a toss-up for many people, including myself, who saw no good choice between either men: a dangerous position to be in. But today, only the very stupid or the very sycophantic will claim not to see the nakedness of the current emperor. In 2015, Nigerians gave Buhari a chance to redeem his dictatorial image and a second chance to commit himself to the equality of all, social justice, and the rule of law. He blew it. Buhari does not deserve a third chance. He deserves nothing more from Nigerians.